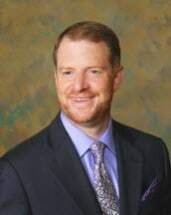 At the law office of Stapp Law, LLC, I am dedicated to providing skilled legal services to those in Williamsport, Pennsylvania, who are dealing with matters of personal injury. With over 20 years of experience, I am confident that I can handle any case and help clients get the compensation they deserve after they have been injured at the hands of another. Along with Williamsport, my law office also serves those in Clinton County, Union, Northumberland, Montour, Columbia, Sullivan, Bradford, Tioga and Centre. I have dealt with cases involving motor vehicle accidents, slip-and-fall injuries, workers’ compensation, wrongful death, construction liability, negligence claims and premises liability. Finding the cause of a claim is a vital part of ensuring that clients get the compensation they deserve based on the severity of the injury. As part of the Million Dollar Advocates Forum and ranked by my peers as a Super Lawyer, I have demonstrated my commitment to protecting the rights of every client who has been injured. My goal is to uncover all the facts in the case and present them in a way that tells the truth and ensures that the client receives the maximum compensation available for those who have been injured. For those who are unsure if they have a valid personal injury claim and want to know more, I offer free initial consultations to answer any questions about the situation.